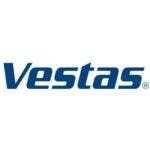 Danish wind turbine manufacturer Vestas announced its full-year 2017 financial earnings on Wednesday, and if the company didn’t have a spectacular year, it nevertheless was able to report a steady year despite the growing competition inherent in the wind industry at the moment. There were declines across the board, but the company remained upbeat, saying it remains “at a healthy level, despite highly competitive markets.” Revenue amounted to €10 billion as compared to €10.2 billion in 2016 and in line with the company’s own guidance of revenue between €9.50 to €10.25 billion. EBIT margin was 12.4% and free cash flow amounted to €1,218 million, as compared with 13.9% and €1,564 million in 2016 and guidance of EBIT between 12-13% and free cash flow of between €1,150 to €1,250 million. The key statistics to take away from Vestas’ 2017 figures is that wind turbine order intake actually increased — from 8,943 megawatts (MW) in 2015, 10,494 MW in 2016, up to 11,176 MW in 2017, highlighting the increasing wind energy demand combined with decreasing wind energy costs. This likely partly explains why investors were more than pleased with the company’s earnings report, with shares climbing marginally on the back of the news.